blog, or website – then your users are about to LOVE what you have to offer them. Note: You must prove you are an internet marketing blogger, website owner, etc. to be a part of this affiliate program. We are not allowing regular customers to join in order to receive a discount on their own orders. If we catch any of our regular customers doing this, you will be terminated from our affiliate program immediately. Why should you promote 99centarticles.com? We have serviced over 10,000 different customers and written well over 150,000 articles in our 4+ years of being in business. We have a dedicated team that specializes in article writing, article submissions, press release writing, press release distribution, SEO , video marketing, social media services, and so much more. We now want to open our doors to allow our customers to become affiliates! We have teamed up with 1shoppingcart to offer one of the best affiliate programs in the business. 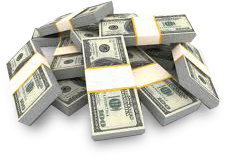 We payout monthly via PayPal – if for any reason you do not have PayPal or don’t want to use it then we can send you a check. You get 25% commission for the life of the customer. We use an advanced tracking/cookie system so that your customer is always yours. Why only 25% commission? Isn’t that low? Unlike typical eBooks, products, or digital products where you might promote that offer 50-75% commission per sale, we simply cannot do that because we provide REAL and VALUABLE services to our customers. We have very high overhead costs and pay our freelancers/employees very well for their work. Your list/customers/students will enjoy our affiliate program and it will be something VERY unique you can promote. Our average order ranges from $125 – $250 . Sure, many people place small orders, but we sell a lot of higher ticket items where you can make commissions ranging from $50 to several hundred dollars – we do all the work and you never have to lift a finger! 25% on some of our products can really add up – for example the average price of our most popular/ordered article writing/press release packages are $125-$300. If you sell a RECURRING SEO package, then you get 25% of the SEO fee for the LIFETIME of the customer. Our lowest Premium SEO package is $460 with the highest package being $2000 per month. Plus your customer will continue to order for years and years to come. We pay out on the 1st of every month via PayPal. If you prefer not to use PayPal then we can send you a check via mail. Will I have help to promote 99centarticles.com? Yes! We have a plethora of banners, text ads, and proven autoresponder/broadcast e-mails that will convert your traffic into 99centarticles.com sales! Once you’re accepted into our affiliate backend you will receive your unique affiliate link and access to all of our affiliate tools! 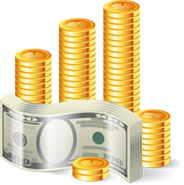 There is opportunity to make serious money with our affiliate program, let’s get started! This is a private opportunity, you must have an established internet marketing website, business, or following! Have you ever ordered from 99centarticles.com? If so, how was your experience? I attest I am not signing up to 99centarticles.com affiliate program just to receive discounts on my own orders. I am signing up with this affiliate program to recommend new clients and make a commission from recommending 99centarticles.com services to others.